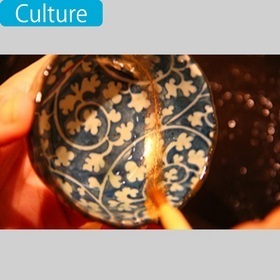 This is a very unique Kintsugi experience that you will learn the technique to repair Japanese traditional cups or plates with a lacquer that's mixed of a gold. This is Japanese traditional technique to repair a broken tableware by making use of the broken part and repair it better looking than before. You will see and feel how Japanese people treat items very important. Because it is supposed to use pure lacquer and gold, the process is long, expensive, and possibility of poison by lacquer, but in this experience, you will use substitute lacquer and gold. Thus, you can experience it easily and safely. After the experience, you will be able to bring the repaired item back to home with you. You will also wear samue in this clean and beautiful workshop facility, which is conveniently located in Omotesando.